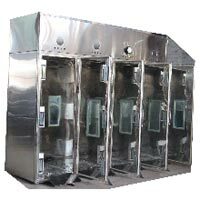 We manufacture and supply Stainless Steel Pass Box as per requirements of the pharmaceutical industry. The Pass box is made for Trolleys, or for supplying material in sterile area to and fro. Multiple Pass box having a bank of 4 chambers. Made from SS 304 material. The Pass Boxes were having Electro magnetic Locking system, Nitrogen Purging and UV Light arrangement. Vacuum chambers are also available. Is made as per the Requirement of the Customer. 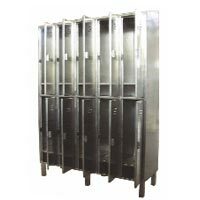 SS 304 Matt Finished Lockers come in various sizes and various configuration. Lockers come with Suction or with out suction. Configuration can be suggested on the basis of your requirement. Mobile Hand wash in SS 304. Capacity of the tank 25 liters and collection tank capacity 30 liters. Perfect for Temporary Purpose and areas having no drainage. Comes with Soap Dispenser, Hot air hand dryer. 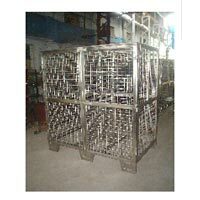 SS 304 Cage Trolley. 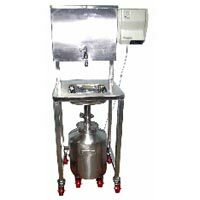 The trolleys have very wide variety of sizes and handling capacity From Very light use to 1500 Kgs , The Trolleys are used for Batching and avoiding mixing of batches.